Australian cloud computing company gets behind Annual GovHack. Ninefold, Australia’s Cloud, has congratulated all winners and participants of the largest GovHack 2012 competition yet in Australia, particularly the 10 of 22 winners using Ninefold virtual machines. 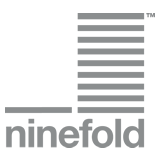 Ninefold provided virtual machines and on-site mentoring both in Sydney and Canberra plus sponsorship funding towards the cash prizes. Contestants were supported by GovHack organisers with a range of tools and hosting options, including virtual machines from Ninefold, which will keep the VMs active for six months to allow participants to keep working on their projects. GovHack is a not for profit event that brings government, industry, academic and civil society together to create new mashups, data visualisations and apps from government data sets. GovHack 2012 included data sets from the National Archives, Bureau of Meteorology, Geoscience Australia, CSIRO, Australian Bureau of Statistics, Australian National Data Service, OSP, Australian Electoral Committee, Data.gov.au and ACT data sets. Run by volunteers from the Gov 2.0 Community, Rewired State and the eGovernment Technology Cluster, its aim is to see how Government data can be used to benefit the nation. GovHack attendees typically include web and application developers, open data & visualisation gurus, accessibility specialists, augmented reality-ists, mobile masters, user experience fanatics and anyone interested in open government. Laser Explosions - Time Capsule by team Laser Explosions Best Overall Science Award, Best Data Visualisation. Ninefold is an Australian Amazon EC2 and Amazon S3 alternative with locally stored data, free local support, self service flexibility and low latency. This allows you to provision virtual servers and cloud storage quickly - scaling up and down when needed – and only paying for the resources you use.